A property developer lent some R10m to an associate’s companies for a shopping mall development. The associate’s companies then borrowed a further R5m from a bank, which took a R5m mortgage bond over the one company’s property as security. And - here’s the rub – the developer also signed suretyship to the bank for the R5m both personally and on behalf of his family trust. There are many pros and cons to consider when deciding between your various options, but ultimately the choice is yours by law. 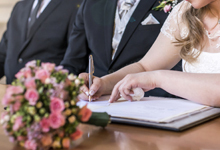 Think about it beforehand, because it’s important and you don’t want to be caught out trying to make a decision at the altar - whatever choice you show in the marriage register (in the “Surname after marriage (wife)” field at the end) will be recorded by Home Affairs in the NPR. Refusal to obey a “lawful and reasonable” instruction. 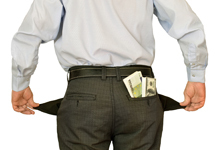 The employee had suffered unfair discrimination in terms of the Employment Equity Act. Take specific advice before you do anything as the penalties for getting this wrong will be severe - our courts are not gentle with employers who contravene our labour laws, particularly in cases of automatic unfairness and unfair discrimination. We lead increasingly hectic lives, and in the business world in particular we desperately need to find efficient and effective ways to maximise our health. Probably the best and easiest way of achieving that is to set up and follow a good, healthy daily routine. 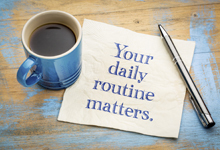 Routines are great – no decision-making, no stress, just do it. The challenge is finding our way through all the contradictory noise out there about what’s really good for us and what isn’t. When and how should we exercise? How many times a week should we shower? When best to drink that first cup of coffee? What should we have for breakfast? …and so on throughout our day, ending off with some tips on getting a good and healthy night’s sleep.